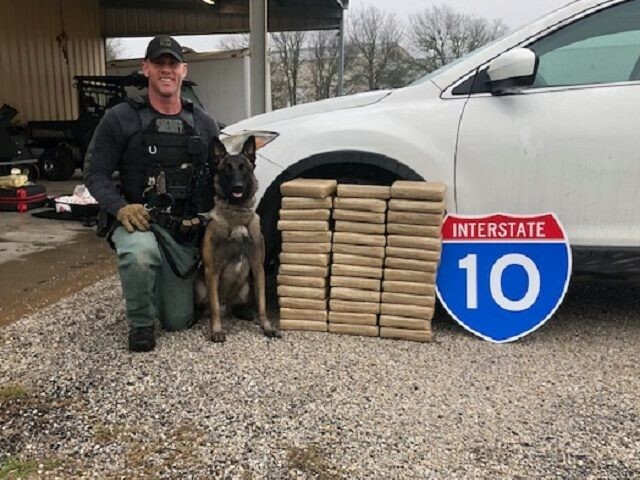 A Texas sheriff’s deputy and his K-9 partner discovered 50 kilos of cocaine during a routine traffic stop on Interstate 10 between San Antonio and Houston. This is at least the third major drug shipment interdicted by this deputy this month. Fayette County Sheriff’s Office Sergeant Randy Thumann and his K-9 partner Kolt stopped a Mazda CX-9 on January 18 for a routine traffic violation. During an interview, the deputy became suspicious of the driver and requested permission to search the vehicle for drugs, according to a statement from department spokesman Lt. David Beyer. Thumann is a trained drug-interdiction specialist. He became suspicious of the driver when he observed many discrepancies in the driver’s travel itinerary. He also noticed other key indicators that led to the request to search the Mazda. The driver gave consent to search. During the search, Sgt. Thumann discovered that each seat in the vehicle contained an after-market compartment containing bundles of drugs, Beyer stated. The deputy tested the drugs and found it tested positive for cocaine. The sergeant recovered multiple bundles of the drugs weighing about 50 kilos in total. Officials estimated the value at about $5 million. Thumann placed the driver, 50-year-old Francisco Rangel Rodriguez, a Mexican national, under arrest for drug possession and transported him to the jail. 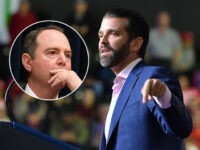 Lt. Beyer told Breitbart News that U.S. Immigration and Customs Enforcement officers placed an immigration detainer on the suspect. He said they do not yet know how or where the drugs were smuggled into the U.S. This is the third time that Thumann and Kolt made major drug interdictions this month. The duo found another $1.5 million in cocaine stashed in a Ford F-150 pickup truck during a traffic stop on January 7, Breitbart News reported. The suspected drug traffickers, both U.S. citizens from Eagle Pass, Texas, allegedly placed the drugs behind the rear seat, on the rear floor, and under the center console. One week later, Thumann and Kolt discovered more drugs being transported in a pickup truck. The traffic stop yielded 34 kilos of methamphetamine that the driver allegedly hid inside four industrial-sized fire extinguisher. Officials estimated the value of the meth at about $3.6 million. The U.S. citizen driver from Laredo was arrested and transported to the Fayette County jail in La Grange, Texas. In total, Thumann and Kolt discovered and seized more than $10 million in the three traffic stops this month.